You can check the status of your connected products on our free remote monitoring website: the VRM Online Portal. To get an impression of the VRM Online Portal, visit vrm.victronenergy.com, and use the ‘Try Our Demo’ button. The portal is free of charge. LoRaWAN is a wireless network that operates on the 868Mhz frequency. It has a long range and uses small amounts of power. The VE.Direct LoRaWAN module can send hourly data updates via this network. You do not need a subscription to make use of this network. If you do not have coverage in your region it is possible to add your own gateway. 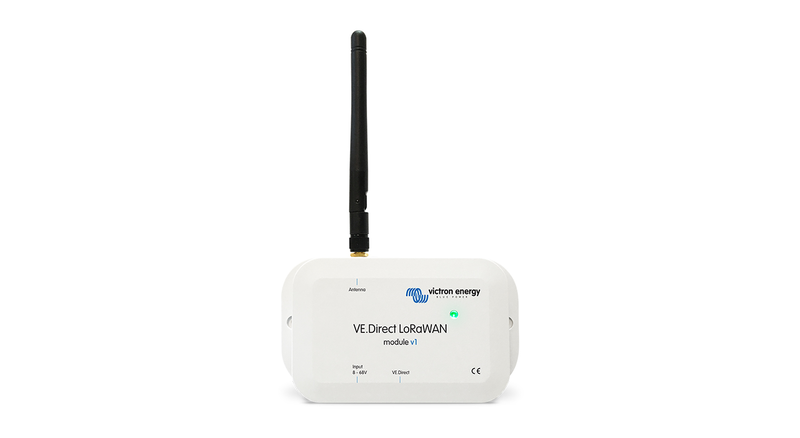 Read more about the VE.Direct LoRaWAN module in our blog article.